Looking for alternatives to Squish? 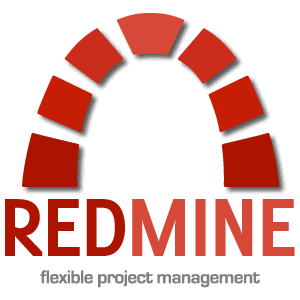 Tons of people want Project Management software to help with due dates, collaborative project planning, and to-do lists. What's difficult is finding out whether or not the software you choose is right for you. We have compiled a list of Project Management software that reviewers voted best overall compared to Squish. Based on reviewer data you can see how Squish stacks up to the competition, check reviews from current & previous users, and find the best fit for your business. "My opinion about Basecamp: I liked how easy it was on the front end for our project managers to input projects and or designers to navigate their schedules. Overall it worked for our staff for many years but as we grew we wanted to provide a better experience overall for not just or project managers but our clients too." "I no longer have delays and each project has better results with wrike: My experience with wrike has been favorable, since I can manage my projects much faster and in a more efficient way. By conducting the discussions I can have a general idea of ​​the contributions of my employees, from anywhere and at any time thanks to its application for Iphone. It is very nice to be able to share documents in a simple and fast way just by attaching it from my PC or Dropbox; The fact that I can customize the taskbar saves me time in assigning activities. It allows me to review the files constantly and collaborate in real time, notifications are excellent to be aware of delivery dates and thus avoid unexpected delays." "Intuitive software that increases throughput! : I like how easy and fun it is to move cards to done and track your progress on projects that deliver value to users. You can create cards quickly, fill in more details, classify them according to type of work/value, assign them to one or more team members, get notifications on progress, attach files for reference, and much more. It's a simple, clean design but powerful underneath." Hi there! Would you like help finding solutions similar to Squish?